No matter how knowledgeable you are about business, it’s impossible to know everything about building a successful company. Because of that, I encourage business owners to always seek professional advice and guidance. However, there is one caveat of which you should be aware: Blindly following that advice without listening to your own instincts can get you into trouble. During these difficult times, it might be tempting to let someone else tell you what you need to do. Sort of takes the pressure off. But before you make that mistake, consider this. 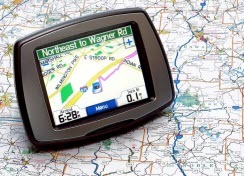 Most cars today have GPS systems. My smartphone has one. The taxis in many cities have them. And if you don’t have one you can access when you’re on the go, then you can get directions from online mapping sites. They’re simple to use: Just type in where you want to go and follow the directions to your desired destination. It’s great. So why can’t you get directions for business success and follow them? Well, for one thing, what happens if your GPS is wrong? Or, what happens if the business directions you get are wrong for your business? My husband and I were traveling in the southern part of the U.S. on a media tour for my last book, The Girls’ Guide to Building a Million-Dollar Business. As we were driving back to our home in St. Louis, we decided to stop in Tunica, Miss. For those of you who don’t know, Tunica is just south of Memphis, Tenn., and it is in what was once in the poorest county in the United States. Today, more than 10 million visitors make their way to Tunica, which is now considered the casino capital of the South. Because we didn’t have a clue how to get to Tunica from where we were, we turned to the GPS system in the car. We identified our starting location and selected a visitor site in Tunica as our destination. We were on our way. Periodically, our electronic guide would tell us where to turn, or inform about how far it was to our destination. Thirty minutes into our journey, Lola (the name we gave our electronic guide) had us taking desolate two-lane roads. Where was Lola taking us? Even though we were somewhat skeptical, we let Lola continue to dictate our path. It was the gravel and dirt road that served as our wake-up call. My husband flagged down a pickup truck, and a very nice man and his wife told us the road we were on led to the water’s edge, and Tunica was across the river; there was no way to get across the river unless we had an amphibious vehicle. Our only option: turn around and retrace our route in order to get back on the right road to Tunica. My point is, if we had allowed our instincts to guide us when things starting looking odd, we wouldn’t have gone more than an hour out of our way. But Lola had sold us a bill of goods. If we’d made the same mistake with our business, following a path we weren’t comfortable with, we might have been all washed up. In business, you should always ask yourself, Does it make sense to follow the gravel and dirt road, or should you follow your instincts and follow a path you’re comfortable with? Guidance and coaching can be helpful to get you where you want to go, but only you know what’s best for you. Here’s to staying dry and to making your business a success.